This sounds like big prog rock of yesteryear and the opening bars to “A Dream Full Of Fire” are laced with all sorts of neo-prog sounds. The vocals arrive and this then drifts into something all the more dreamy. It’s a fairly straight song that then has a charging riff behind it and the thrusting of the vocal to the absolute fore makes it sound a little odd before it starts a wallowing self-satisfying passage that has me just wanting them to get on with it. There is a real detached feel and that is no doubt not helped by this not being a real band. I have a sense of parts being present to please as many ears as possible but that sort of thing is often in danger of pleasing no-one. That they end up fading a song over eight minutes is also a bit strange. I can’t comment on the missing “AOR radio Anthem blending classic rock with modern sensibilities” but the rest of the album doesn’t really excite. The vocal is strong and assured but doesn’t always get fully supported. This claims to be symphonic rock but there really isn’t much that is actually symphonic and the up front vocal is often out there on its own. Instead it is a real drift of prog rock no doubt due to the links to the John Payne version of Asia. If that floats your boat and you don’t mind a female vocal (and this is a very good one) then grab it. But for me the second listen was such hard work I barely wrote anything down and I was just pleased when it ended. “Gone Are The Days” does throw at least a kitchen tap, if not the whole sink, at it once it gets going and there are some dark moods here and there but on the whole I was actually bored during the album. The mainstream parts in the commercial Heart style aren’t deep and the prog passages too rambling. The strong vocal doesn’t actually seem to have many options and vocoder effects being used on a couple of songs offer the only variation. 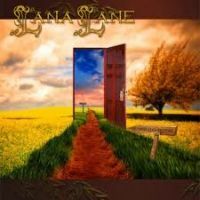 Lana Lane is one of the most established names in rock music, with almost 20 years of recording history under her belt. Her first solo album came out in 1995 and in 2012 she revealed that she is releasing her 12th studio album, called El Dorado Hotel. The beginning of the album is very strong, with lush orchestration and some haunting vocal melodies. You can see the partnership of Lane and Norlander is very fertile in creating deep, soulful and catchy rock with flashy arrangements that add an extra sparkle to the proceedings and occasionally an sir of mystery as well (Darkness Falls comes to mind, for example). It starts going sour with Hotels and continues until Life of the Party. I could best describe this as Hollywood rock, with ridiculously shallow lyrics and totally irrelevant music. I know it might be an attempt to poke fun at the emptiness of certain trends, but it fails at this on so many levels. The only bit of fun comes on Believe, with an auto-tune tribute to Cher's song Believe. The music regains some of the lost momentum with Gone Are the Days and remains strong until the very end. The epic In Exile has a lot of promise, but it has no right to be as long as it is – it's just not compositionally interesting enough to hold it together for so long. Even with all the flashy guests and gimmicks, this really isn't prog rock, even though they certainly make it sound so. It's just dressed up melodic rock with extended solos on either keyboards or guitar to make the songs longer. I'm not denigrating the music, far from it. I'm just saying what to expect, or better yet, what not to expect. There's some amazing playing, vocal harmonies and tight arrangements here, but the song structures remain faithful to a standard format – which is what they’re good at when not attempting to use song melodies and lyrics as social statements.